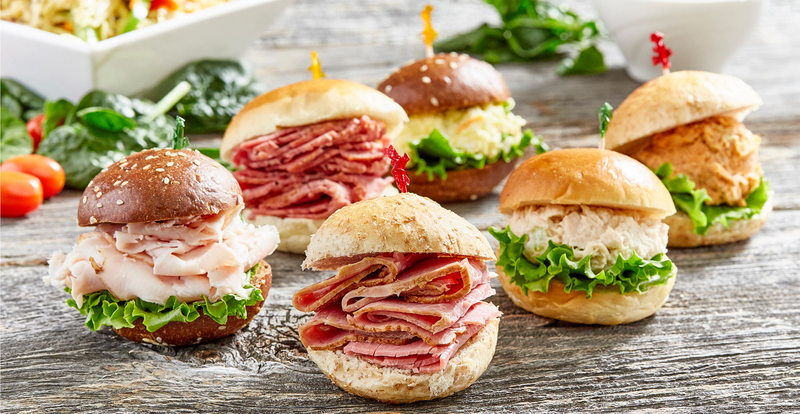 An assortment of freshly baked buns filled with a variety of flavours: oven roasted pastrami, corned beef, roasted turkey, albacore tuna salad, sockeye salmon salad, omega-3 egg salad and garnished with mixed pickles. Also available on light or dark rye. Served with 2 side salads of your choice.